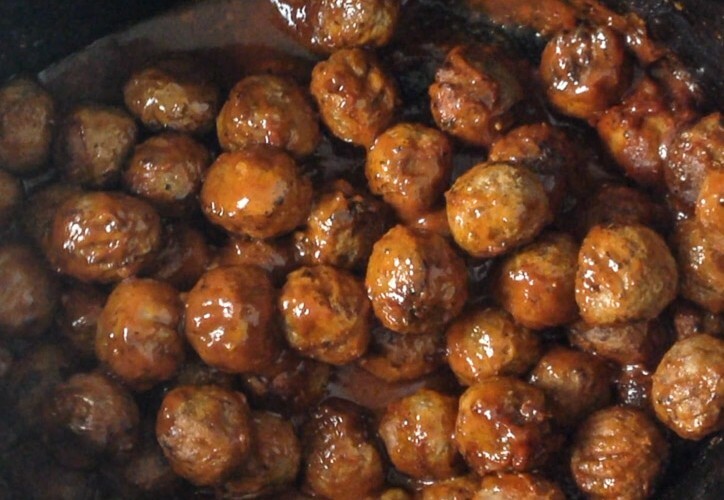 Say goodbye to sugar-loaded, grape jelly and barbecue sauce meatballs for your party appetizer. 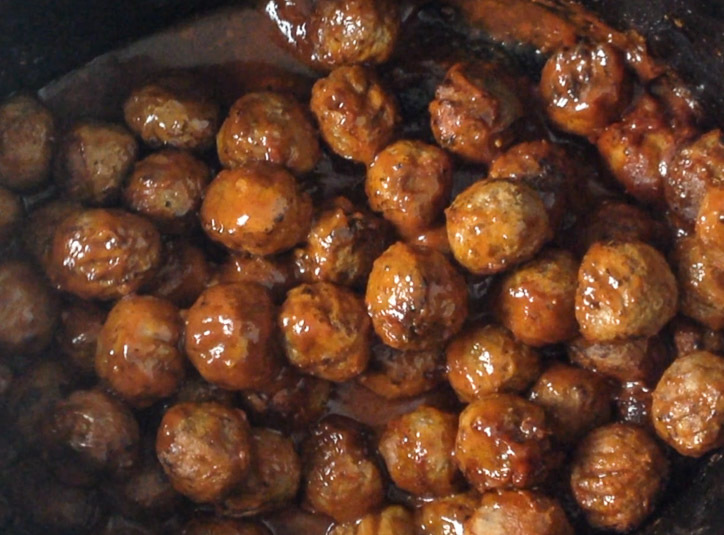 Instead, replace your old recipe with this brand spanking new Low Carb Slow Cooker Meatballs. Watch video here. With only 5 ingredients and packed with flavor, this new recipe is perfect for potlucks, parties, and quick and easy lunch or dinners. Necessity is the mother of all invention. Read on. I am a sugar addict and my husband is a recently diagnosed diabetic. He prefers savory and salty flavors over the sweet stuff. Our awareness of our food addictions have been a blessing but also mentally, physically, and emotionally difficult. I went through a grieving process in November of 2016, when I decided to eliminate processed and fake sugars from my diet. The experience was bizarre and an eye opener. I relied on sugary sweets just like a smoker relies on cigarettes. Fast forward to 2018, our high carb foods and sugary sweets are now limited to special occasions and a few slips here and there. It’s not perfect but it’s a miracle that my craving for sweets have not been a raging monster for more than a year. However, I still struggle with portions and snacking. Andy’s diabetes is a different battle. The diagnosis jarred him and is changing his life. He is now vigilant in reading nutrition labels and measures grains and legumes if he eats any at all. Vegetables have become our staple and not just a side to a meal. 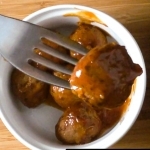 The recipe for Low Carb Slow Cooker Meatballs came to me while standing in the barbecue sauce aisle of a grocery store. Prepping for a New Year’s party, I wanted an easy to make but delicious addition to the rest of the dishes we would be making for that night. After picking up bottle after bottle of barbecue sauce, I realized that the carbohydrate content per serving was more than we could have. Then, it occurred to me to check the nutrition information of marinades. Success! I found a low carb, no sugar added ingredient with a flavor profile I can build from. 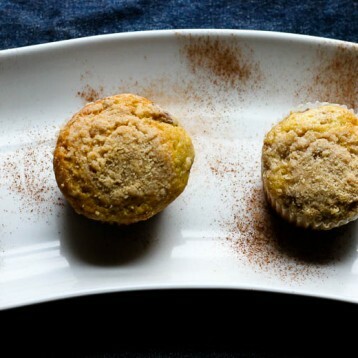 The recipe’s carb content is roughly equal to 12 grams for 6 small meatballs. Low Carb Slow Cooker Meatballs with only 5 ingredients and packed with flavor! Perfect for potlucks, parties, and quick and easy lunch or dinners.